A trained cabinetmaker and an employee of Arne Jacobsen’s firm, Wegner helped define the post-war furniture style Danish Modern. In the mid-1940s Wegner founded his own firm where he created iconic furniture characterized by an exquisite sense of material properties, outstanding quality and sublime design. Throughout his impressive career, Hans J. Wegner designed more than 500 pieces of furniture, many of which have won international awards and become iconic collector’s items around the world. EJ 100 Ox Armchair designed by Hans J. Wegner. 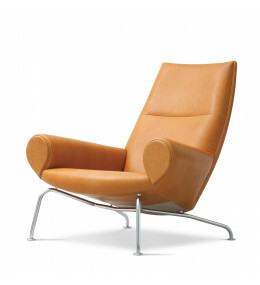 With upholstery in fine Italian leather or cashmere. 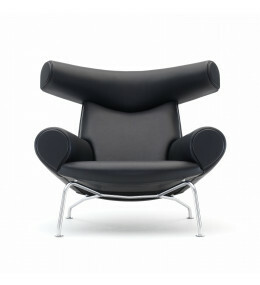 EJ 101 Queen Armchair is Hans J. Wegner’s feminine counterpart to the Ox Chair.